Last week, the developers at ZeptoLab surprised us with a Cut the Rope announcement, a new game starring series' character Om Nom set to debut on multiple platforms this spring. Unfortunately, the teaser trailer didn't reveal much, other than showing Om Nom traveling back in time. 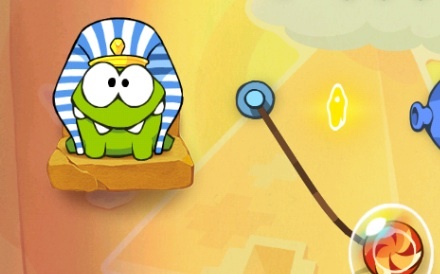 This upcoming title, Cut the Rope: Time Travel, will introduce the loveable creature to his ancestors, as he visits a variety of different periods in history, including the prehistoric era, ancient Rome, the Renaissance, the Middle Ages and Egypt. While on the subject of his forefathers, expect to see Om Nom versions of Julius Caesar, King Tut and even a cave man. 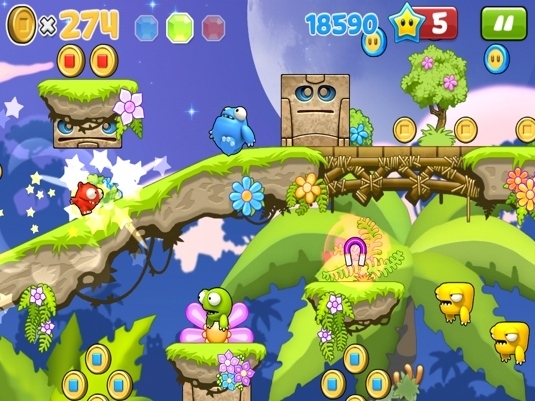 As expected, the usual Cut the Rope mechanics apply, with players slicing pieces of rope to drop candy into Om Nom's mouth while at the same time collecting three gold stars per level. 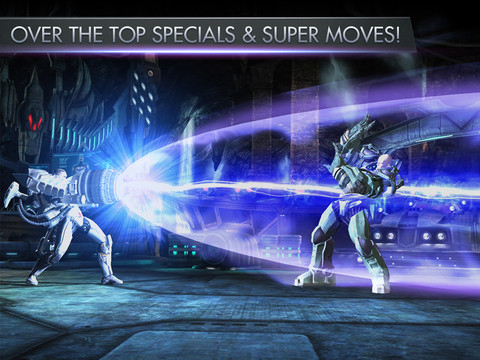 Except in this case, there are oftentimes two characters per stage, and it remains to be seen how that additional critter will impact the puzzle solving. 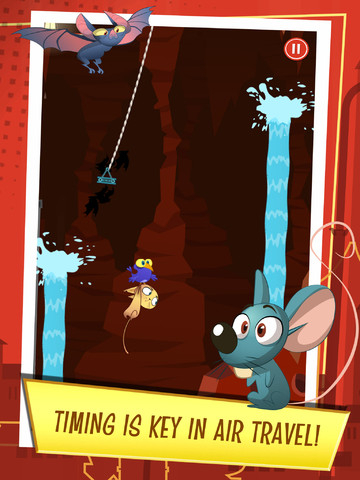 Thankfully, you won't have long to wait, as Cut the Rope: Time Travel will release in mid April, perhaps as early as this week.